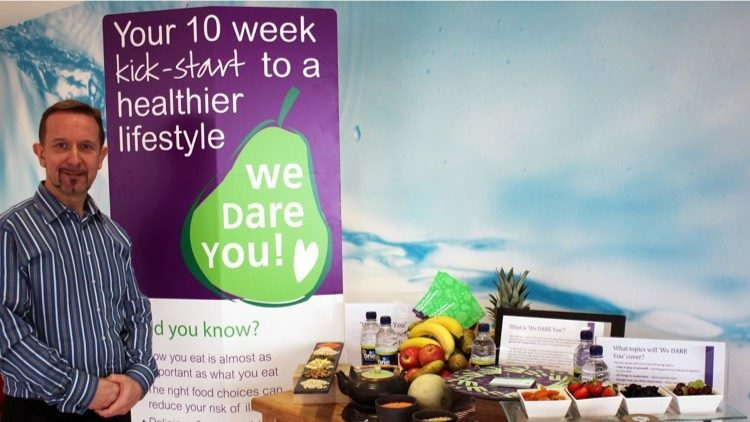 This week saw the start of our ‘We DARE you’ campaign and what a fabulous launch it was. The initiative comes from our DARE (delicious and responsible eating) program and each week we’re giving customers information about various foods and how they affect our body, our behavior and how, when eaten with other foods, can form part of a diet which will lead to a healthier lifestyle. As well as posters and banners have released a series of DARE cards for our customers detailing information about 10 health lifestyle topics and we’re linking in either special deals to promote the purchase of those options or special menus using the ingredients we are focusing on. The campaign also looks at exercise as part of the working day. Our Nutritionist, Penny Hunking, is on hand to help and we have opened a group on LinkedIn where customers can ask questions about nutrition and the answers will be available for all to see. To join our group and ask a question or take part in discussions then search ‘bartlett mitchell: healthy eating at work’ or click here.